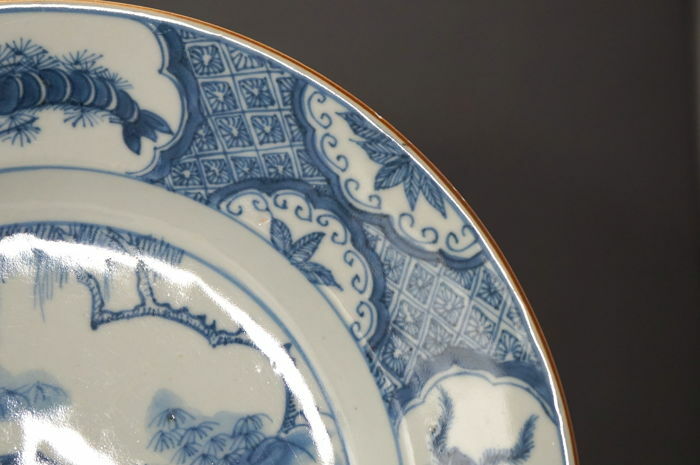 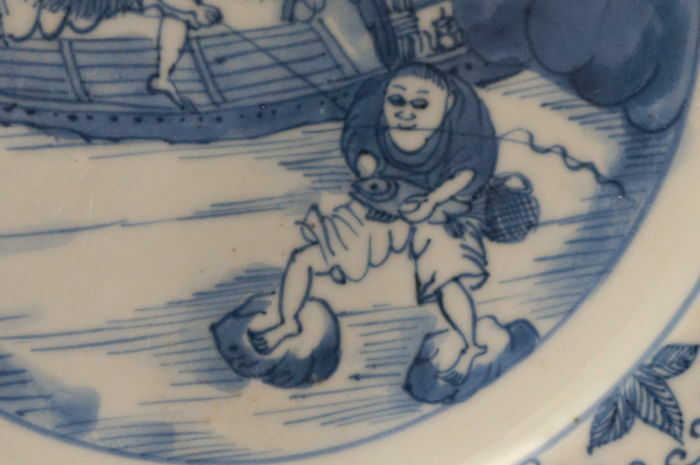 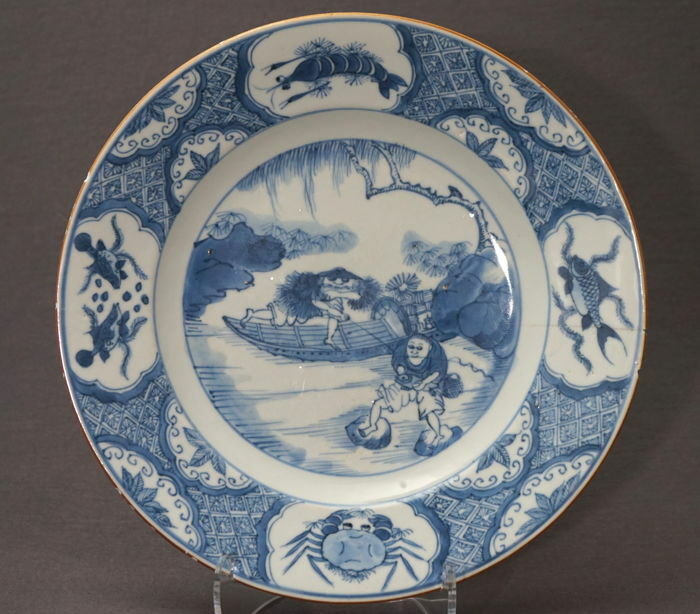 A beautiful deep Chinese porcelain plate with in the middle a medallion with an image of two fishermen. 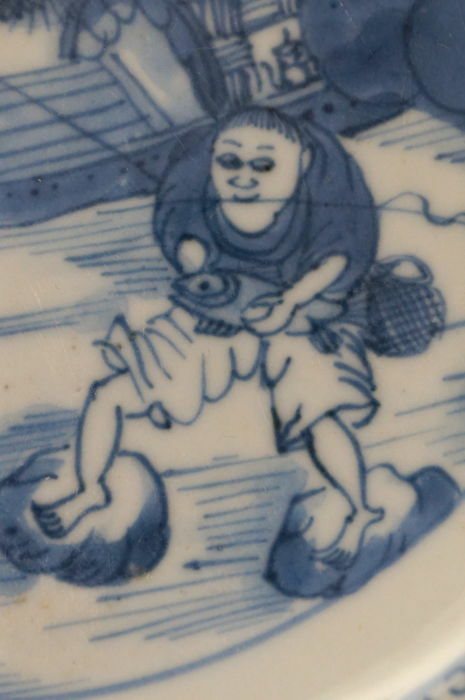 A fisherman in a boat who has caught a fish with his rod, and a fisherman balancing on two stones who has the fish in his hands. 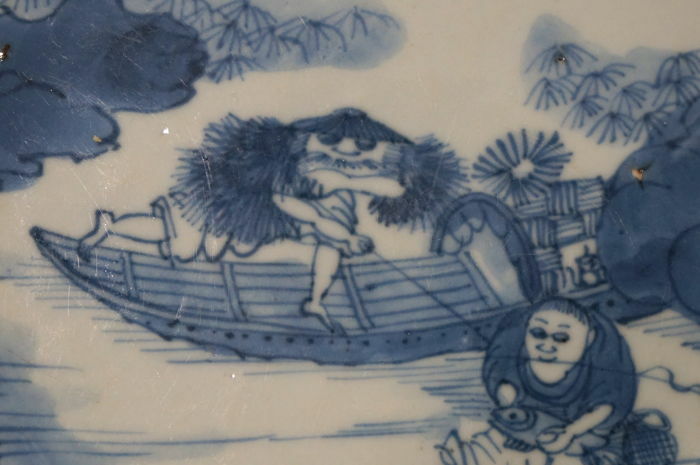 The fishermen have beautiful facial expressions and are wearing classical garments. 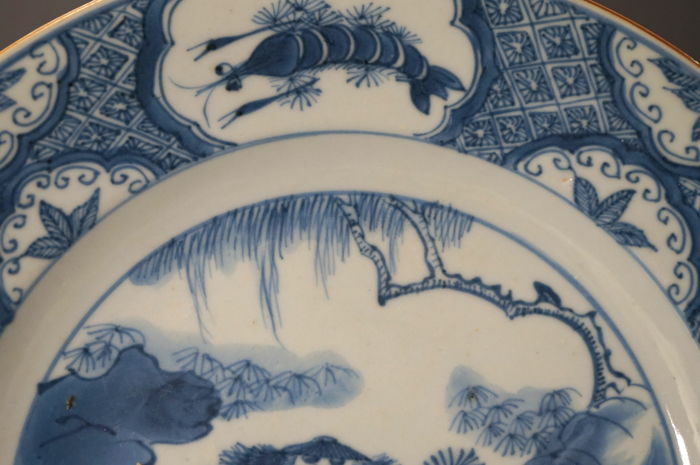 They are surrounded with rock formations and a weeping willow. 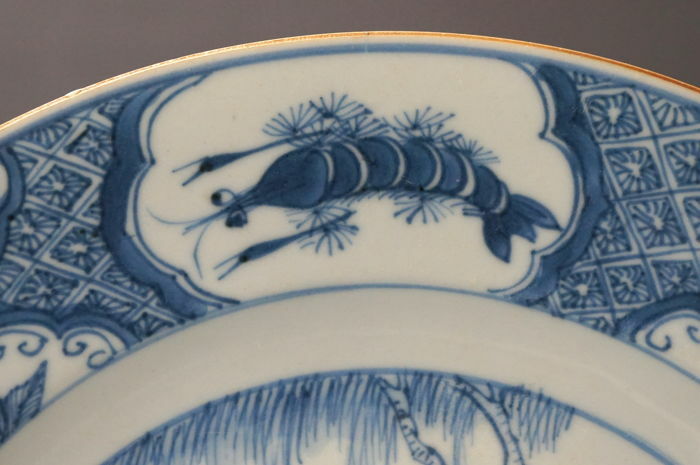 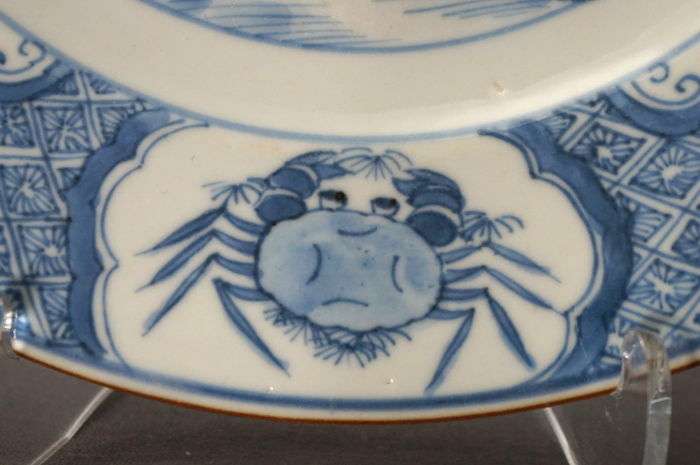 A wide edge with cartouches, filled with shrimp, fish and a crab. 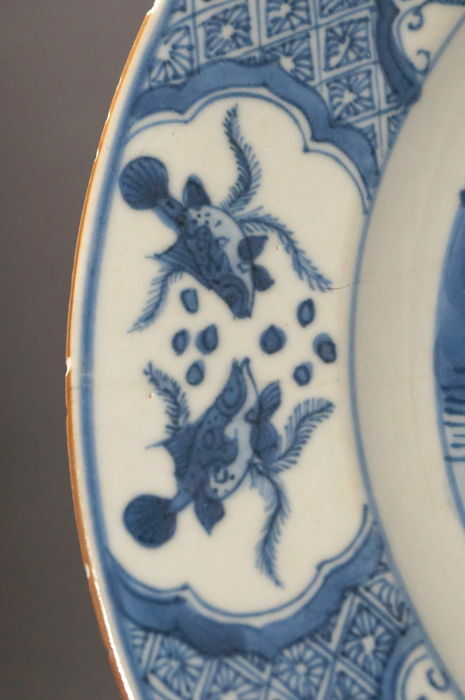 Outside these is a wide strip with geometrical decorations and floral cartouches, characteristic for the late Kangxi period (1662-1722)/early Yongzheng period (1722-1735). 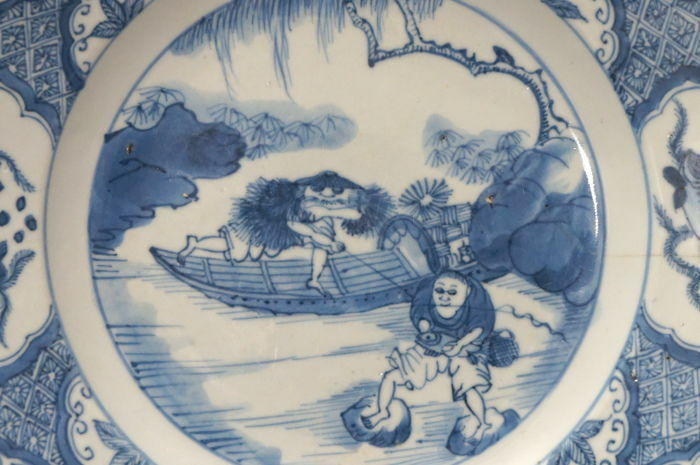 The plate has a Capuchin outer edge. 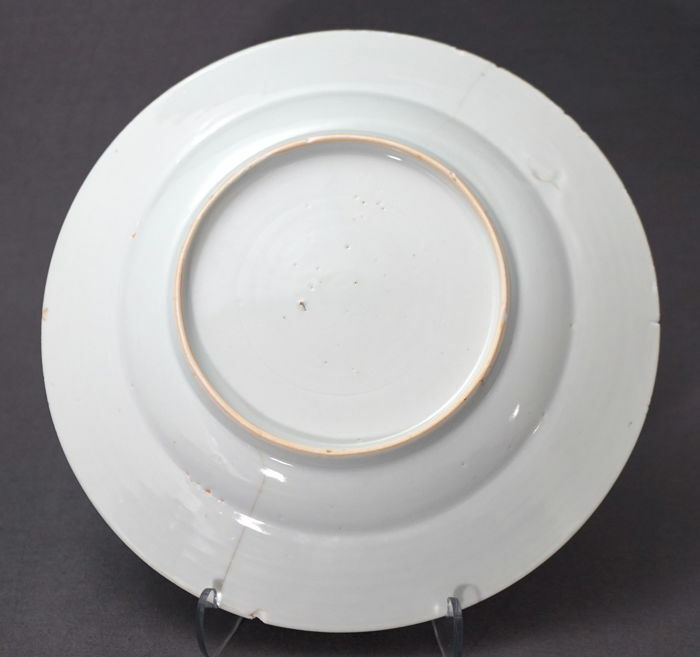 Condition: the plate has two hairline cracks and edge chips, of which one with a short hairline crack. 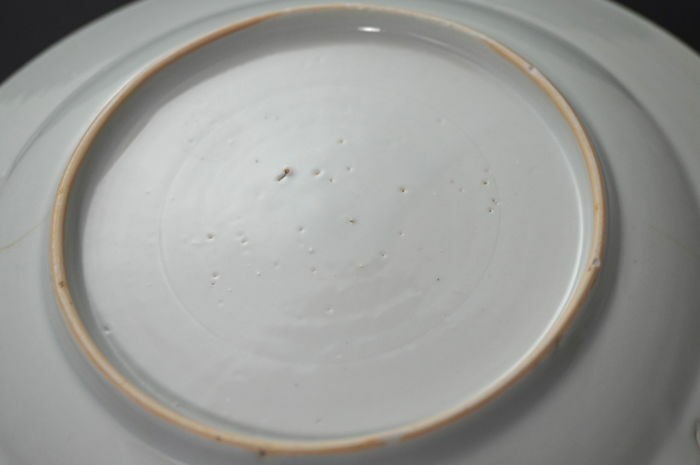 Apart from that, the plate is entirely pristine.